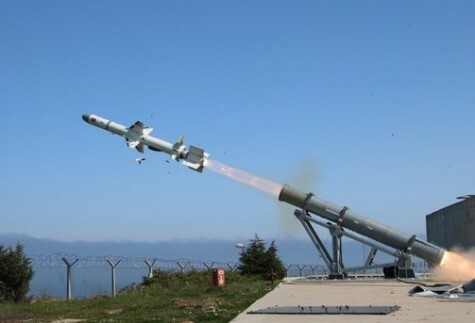 ISTANBUL --- The Presidency of Defense Industries (SSB) said it has signed deals with two local firms for the production of Turkey's first maritime missiles. In a statement published Friday, the SSB said it had signed an agreement for the mass production of ATMACA cruise missiles with Roketsan. Meanwhile, Turkish defense giant Aselsan will produce launch control systems and other equipment for the missiles, the statement added. According to the SSB, the companies developed both the missiles and the launch systems using local resources. The systems will be integrated into the MILGEM (National Ship) project, which was initiated in 2000 to locally design and build a fleet of multipurpose corvettes and frigates that will replace older ships. ISTANBUL --- Turkey has decreased its foreign dependency in defense industry from 80 percent to 35 percent. TCG Burgazada is the third Ada (Island) class corvette built as part of the National Ship (MILGEM) project and delivered to the navy after TCG Heybeliada and TCG Büyükada, which were delivered in 2011 and 2013, respectively. The fourth corvette, TCG Kınalıada, is currently under construction and will be delivered in 2020. TCG Burgazada is 99.5 meters in length, 14.4 meters in width and 2,400 tons in weight. Equipped with modern technology and weapons systems, TCG Burgazada can stay at sea for 10 days with a 3,500-nautical-mile cruising range without supply or fuel support. The corvette, which has a platform, hangar and extensive support equipment required for a 10-ton helicopter, has the facilities and ability for surface combat, underwater defense combat, air defense combat, observation, reconnaissance, and command control tasks. The MİLGEM project was initiated in 2000 to locally design and build a fleet of multipurpose corvettes and frigates that will replace older ships. The country's goal is to build eight corvettes within the scope of the program. The construction of all four ships of the ongoing Ada class – named after Istanbul's Princes' Islands – were undertaken by the Istanbul Navy Shipyard Command of the Turkish Armed Forces (TSK). Erdoğan also made the symbolic first weld for TCG Aydın Reis submarine being built as part of the National Submarine (MILDEN) project. The Turkish Naval Forces also launched in Jan. 2017 the construction of the TCG Istanbul frigate based on the successful design, production and experience of Ada class corvettes carried out in national facilities. The vessel, expected to be completed in four years, will be Turkey's first domestically made frigate and fifth domestically made warship.